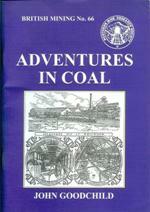 In this monograph, coal mining history expert John Goodchild has used part of his own vast archive to document the family of Henry Briggs and their coal mining concerns and associated businesses between Pontefract and Leeds. Although unremitting Yorkshire capitalists, the Briggses were Unitarians by religion, and this undoubtedly led to their adopting a paternalistic attitude towards their workforce. Following disputes in the early 1860s they also encouraged worker participation in the company through shareholding schemes. This worked well when trade was good, but fell apart in a depression. These events, together with the story of their diversification in trade and innovations in technology, make up an interesting account of a time when the Yorkshire coalfield was rapidly expanding to meet the needs of growing industry and increasing population.